Proper dilution and flow rate of compound and water is a key factor during vibratory tumbling. Metering pumps of the past have been inconsistent and troublesome. 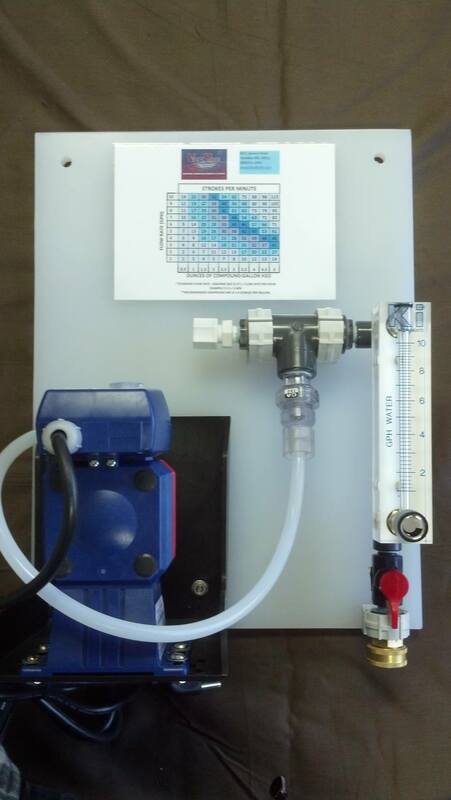 Our new positive displacement Metering System provides easy operation, precise metering, and reliability. A 10 gallon system with compound range of 0.5-5 oz. :1-10 gallons of water and a 25 gallon system with compound range of 0.5-10 oz. : 1-25 gallons of water.